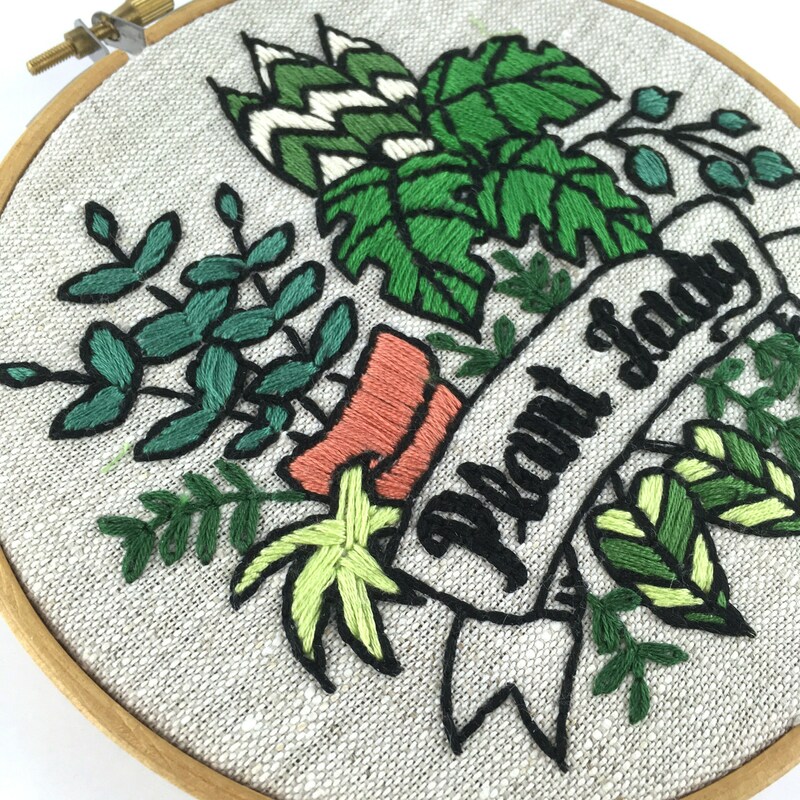 Embroidery Kit - Modern and fun! 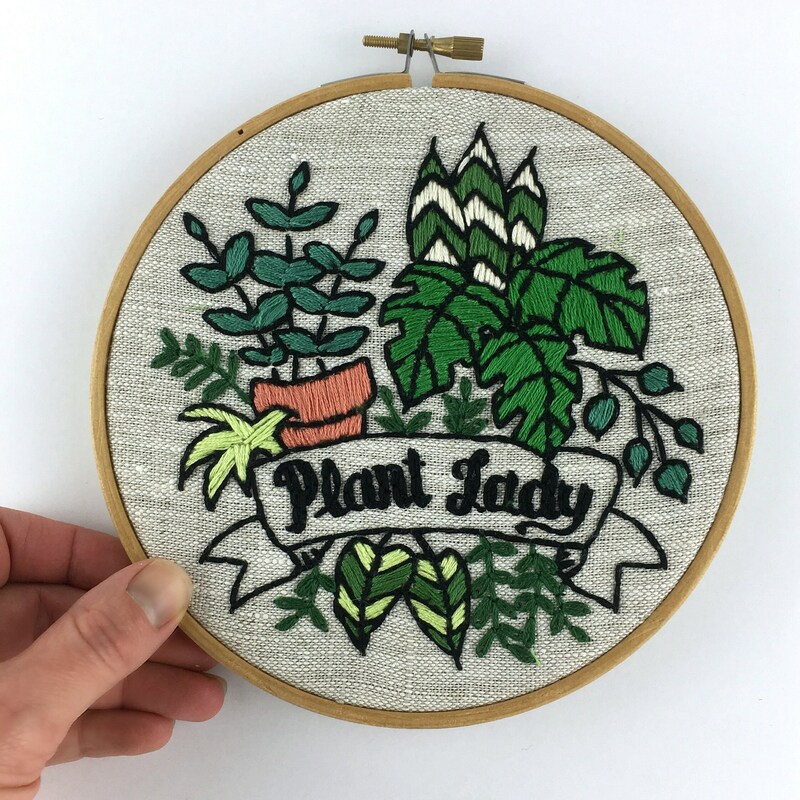 This Plant Lady hand embroidery kit is for all the plant ladies! 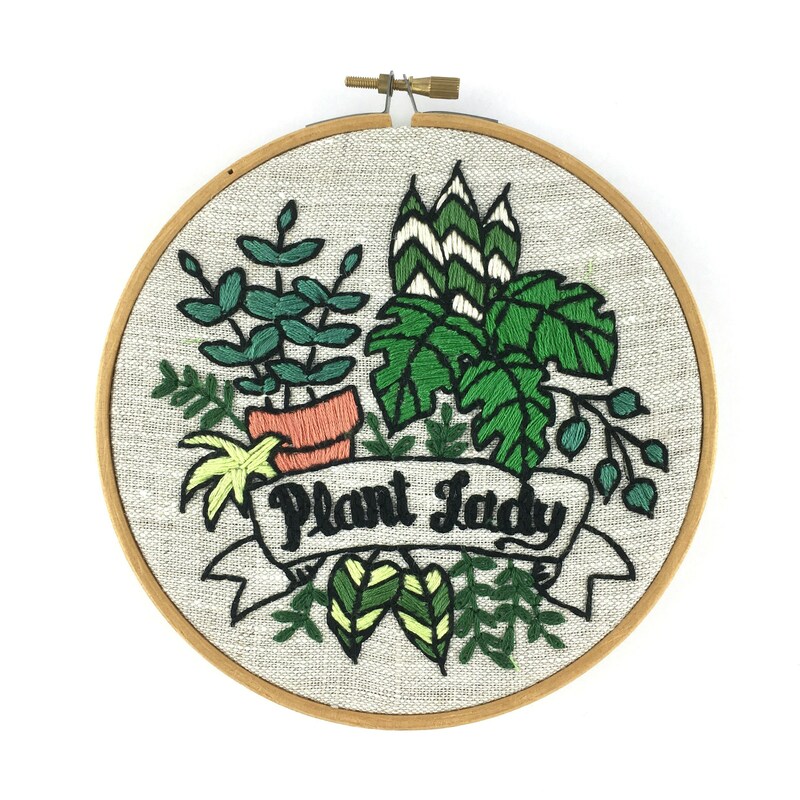 These days, being a plant lady is where it's at - and this DIY embroidery kit combines the ultimate plant lady life statement with the soothing and creative craft of embroidery. 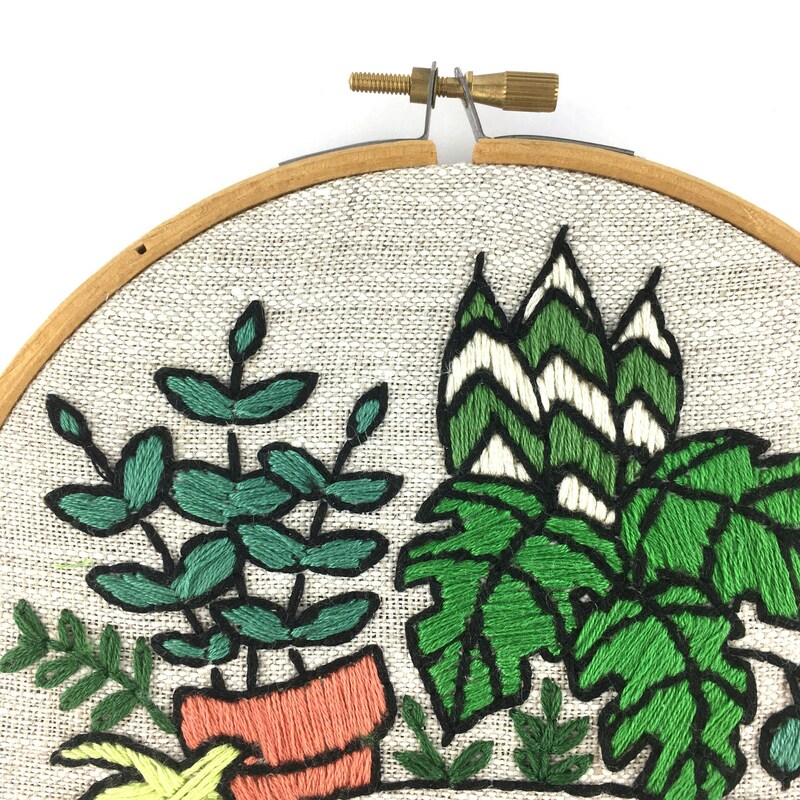 You'll learn and enjoy simple embroidery stitches while creating a green addition to your home or office, or the perfect gift for that friend who loves plants. This pattern looks complex, but in reality the stitches used are very simple! The lettering is optional - stitch over it if you like, or leave it in ink. 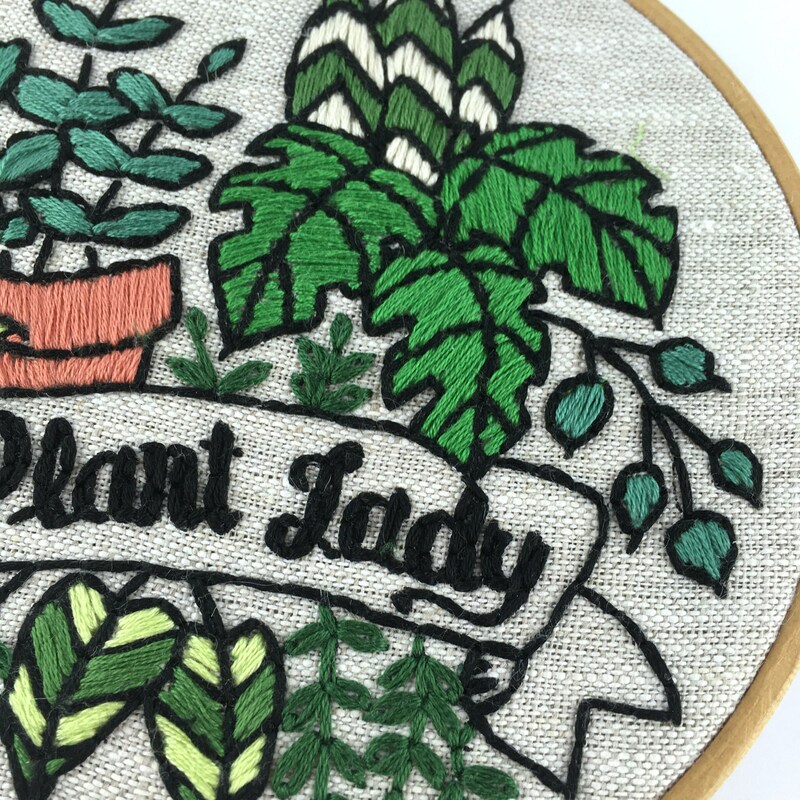 The plants are essentially outlined and filled in with thread - just like a colouring book. An adventurous beginner will tackle it just fine, and a more experienced stitcher will enjoy customizing the details! Note: This listing is for ONE embroidery kit! Love this kit and this shop. Wonderful owner and amazing communication. This is a gift for my MIL- can’t wait to give it to her!! Fun to make. Good quality materials.